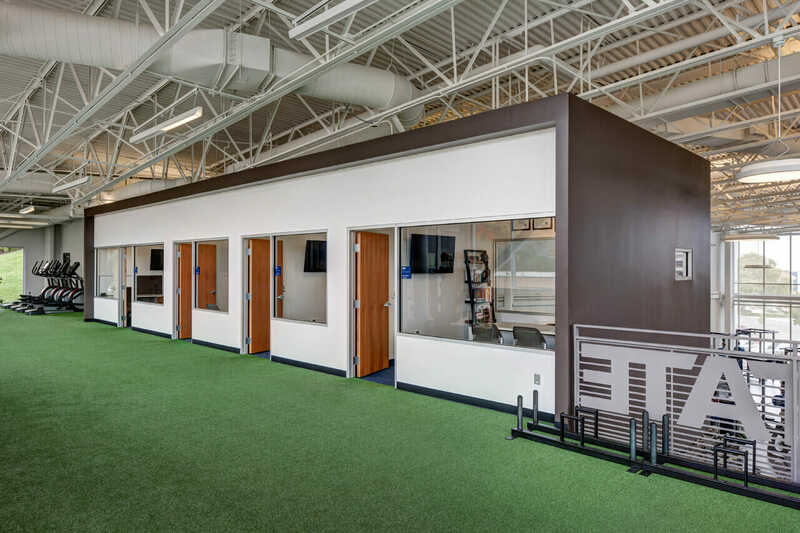 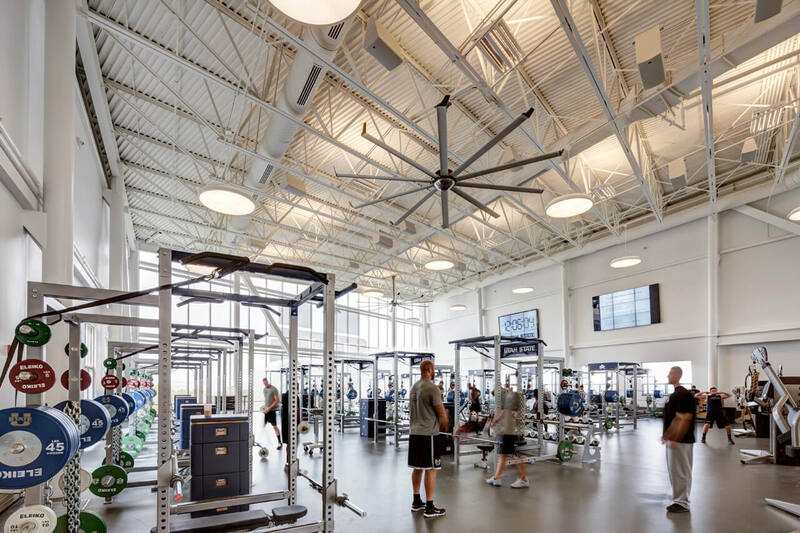 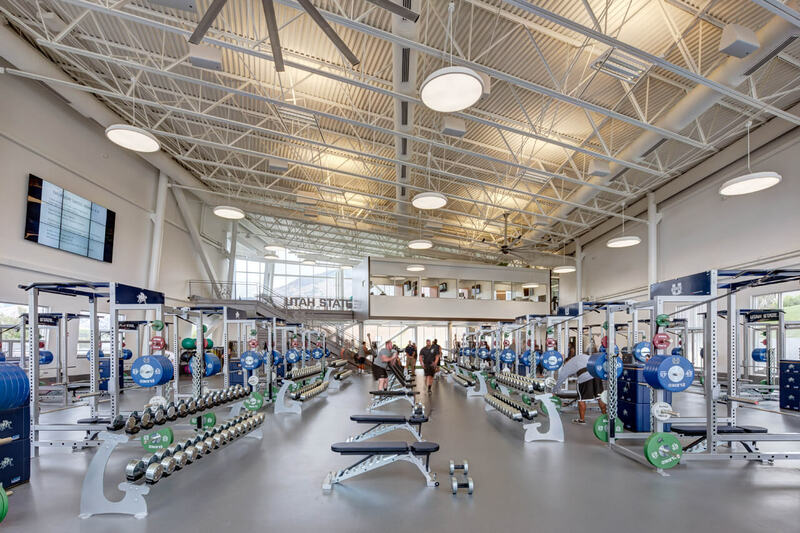 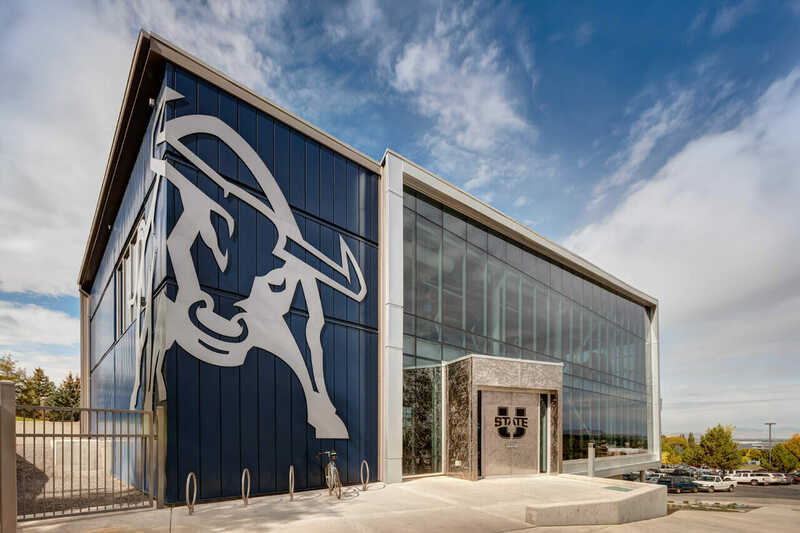 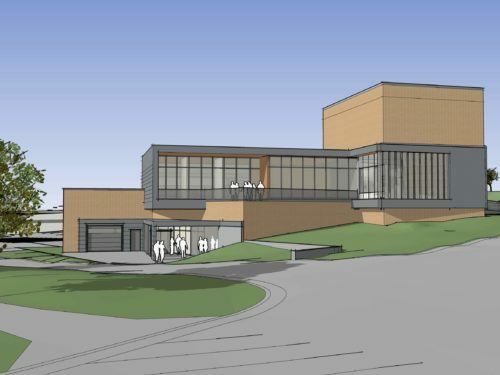 The open design concept of the new 21,000 SF Athletics Strength and Conditioning Center at USU lends itself to flexibility in training and also provides a dramatic experience for recruits entering the facility for the first time. 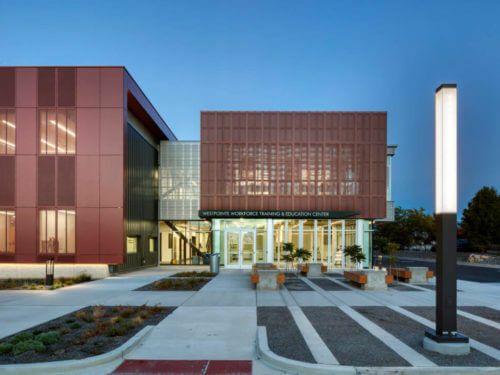 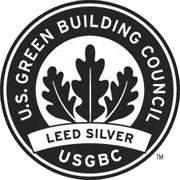 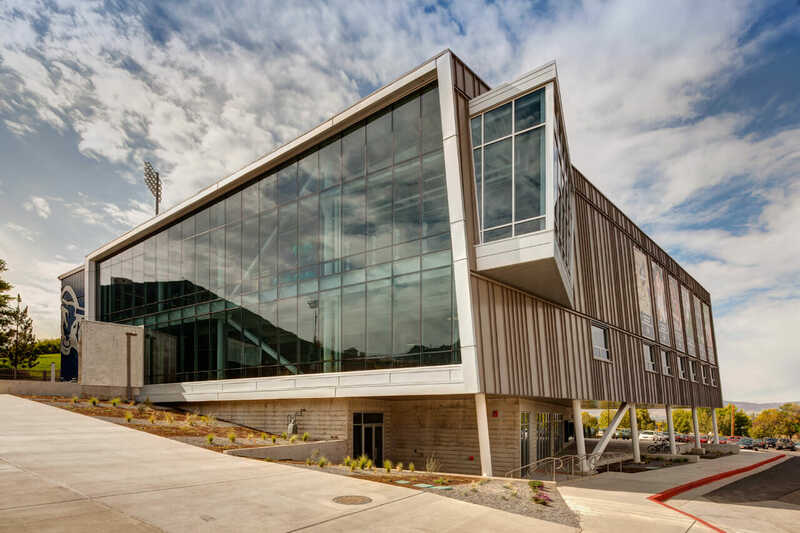 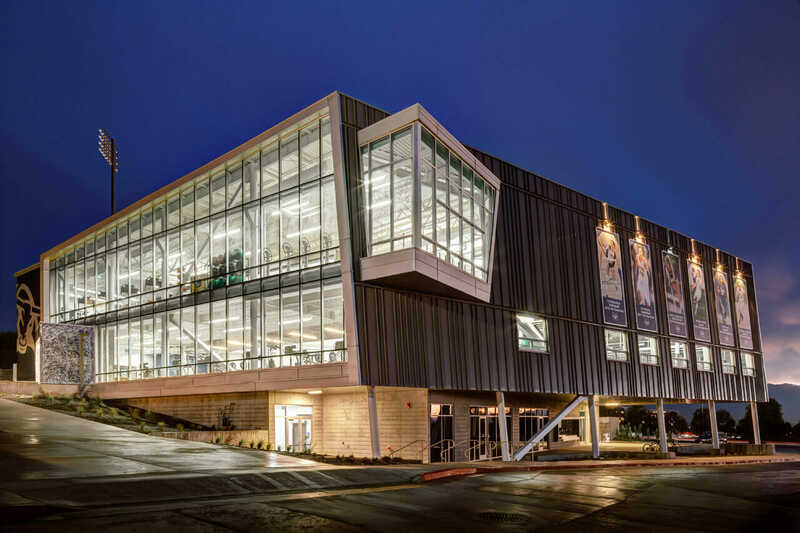 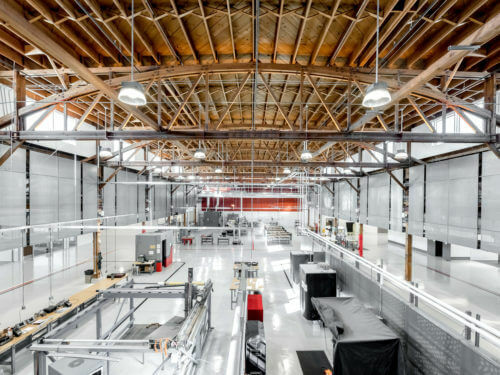 This $6.4 M sustainable facility portrays a reflection of raw strength and the dynamic movement of the human body, while simultaneously serving as a focal point for game day gatherings and athletic events. 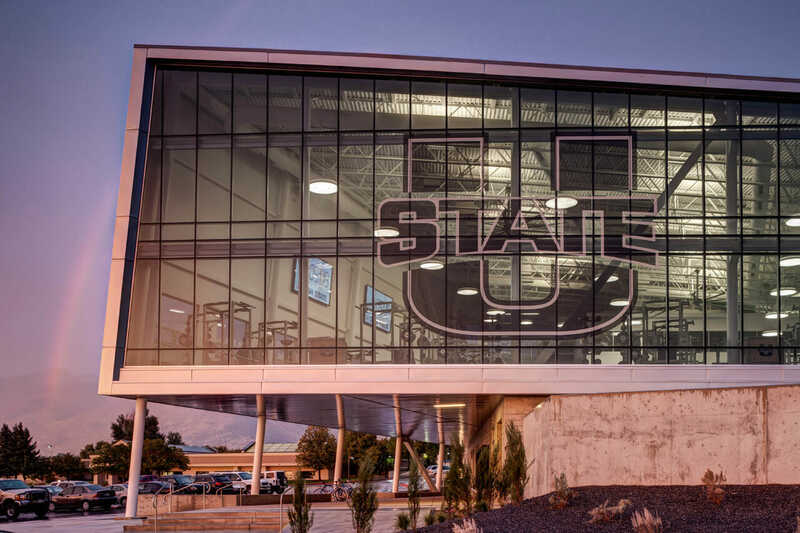 The building officially opened to USU athletes in July of 2013.